Croybilt is a U.S. manufacturer and supplier of high-quality mini-pleating machines, rotary pleating machines, and used blade pleating equipment which are used in the production of industrial air filters and components. After working with SimpleLogic on a project for their parent company, APEL Filters, Croybilt wanted to engage with us for a 2nd project to give their website a much needed overhaul. They needed updated photography to show the equipment’s capabilities in detail, better content for the search engines to index their product line and the ability to update their used equipment when inventory changed. 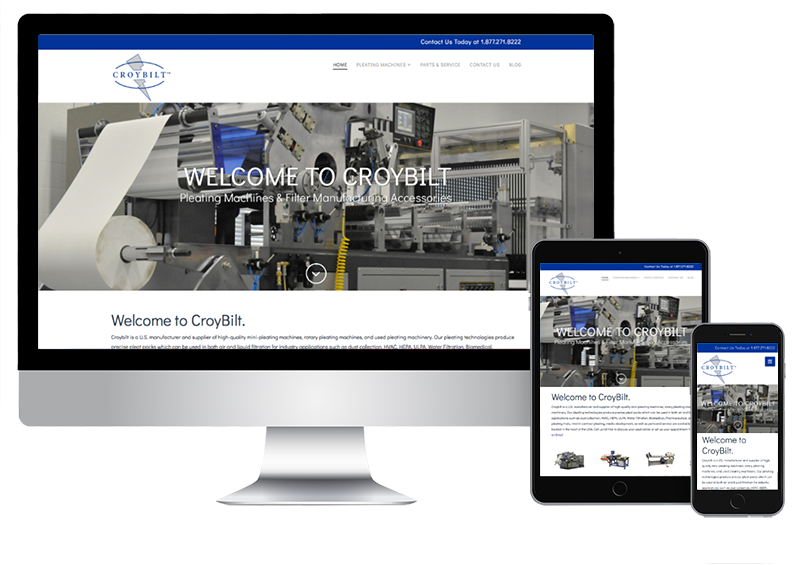 Croybilt’s new website was developed in a responsive design to automatically detect the size of the users screen to correctly size the main navigation, images and content any device. The new images offered greater detail of their equipment’s parts and footprint. The images were optimized so they load quickly and dynamically resize depending on the size of the device. 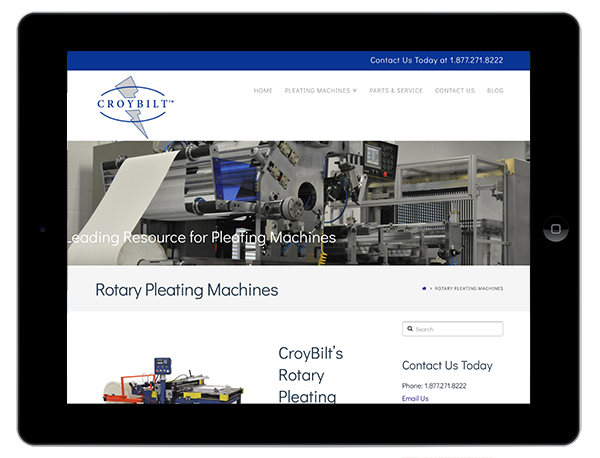 The site was integrated into a Content Management System which allows Croybilt to make modifications to the used pleating equipment page. They can now modify prices, images and product details themselves. 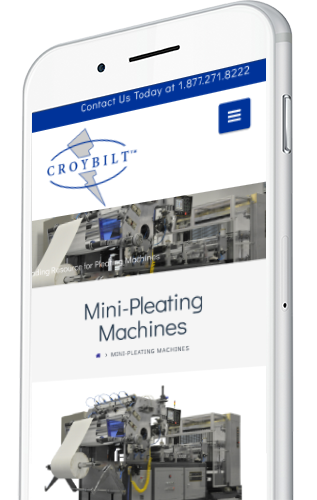 The Croybilt website now presents them as a leader in the pleating machine space and has experienced positive feedback from their customers and suppliers regarding the site’s ease of use and the ability to quickly find information they are looking for. They use the site’s content management feature to update their used inventory and have sold several machines due to being easily found in the search engines.